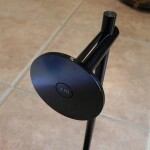 If you’re not interested in the idea of making your own headphone stand, you have many options. 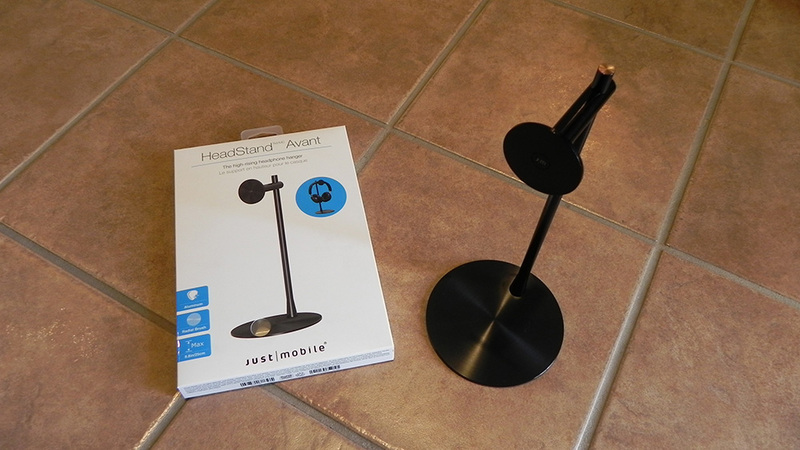 One such option is the HeadStand Avant by Just Mobile (Amazon). 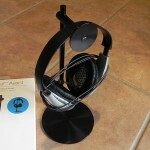 This $39.95 accessory uses quality metal materials and a simplistic design to put your headphones on display. Should you opt to purchase this, some assembly is required. Unfortunately, no instructions or even a required screwdriver is provided. Installation is self-explanatory, however. 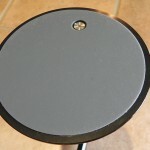 Each piece – which there are four of – is inserted only in one direction. 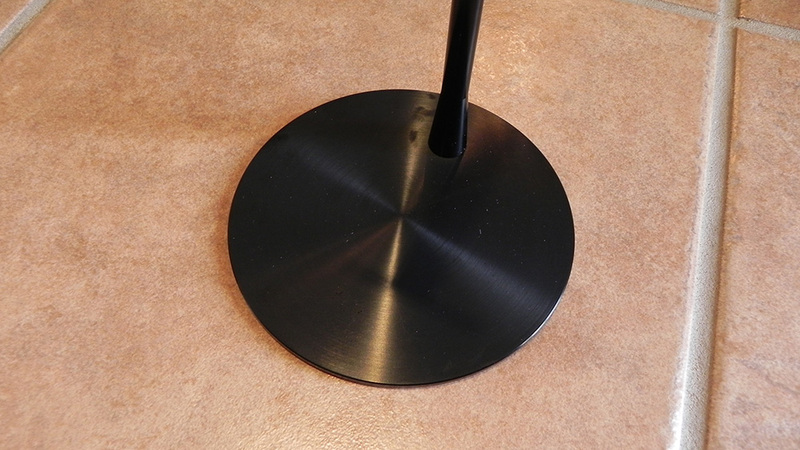 Once assembled, you now have a clean, modern headphone stand. 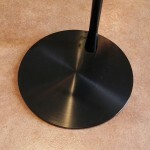 To make sure that the stand doesn’t walk away when you’re not looking, the bottom of the base contains a large rubber pad. 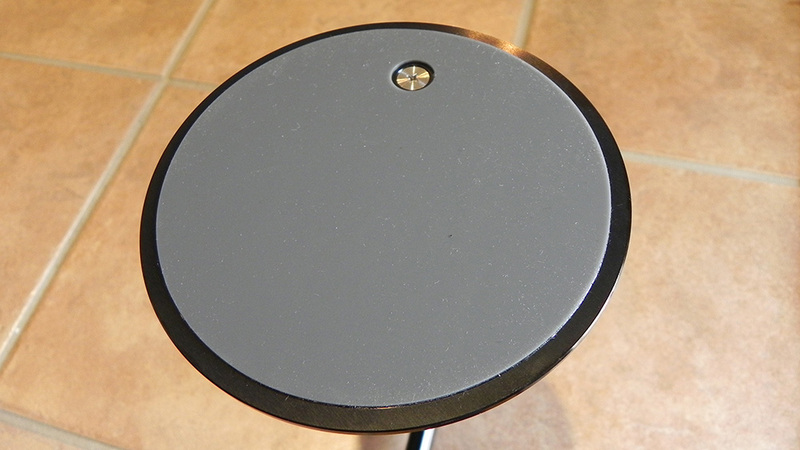 If you do transport the stand, you might notice this pad getting dirty after some time. 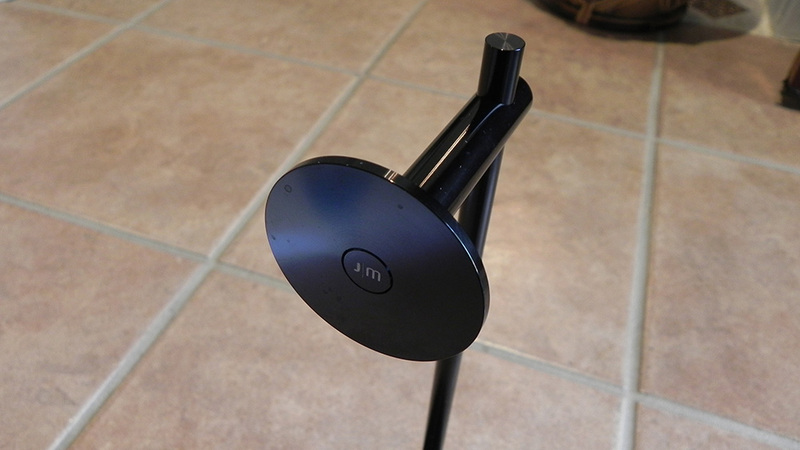 On that same note, the other components do attract fingerprints and smudges, and are especially noticeable on the black version of the HeadStand Avant. The silver version should very much fight against these things. Otherwise, you’ll want to keep a cloth nearby for quick cleaning. Operation is obvious in that you simply place your headphones on the hook end of the unit. 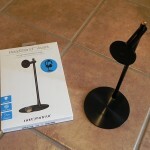 Unlike the non-Avant variant of the HeadStand (Amazon) – which also costs $10 more – no cable management options are available, making the setup look less elegant and clean. However, if you use wireless headphones, this isn’t a concern anyway, so the $10 price savings is likely appreciated. 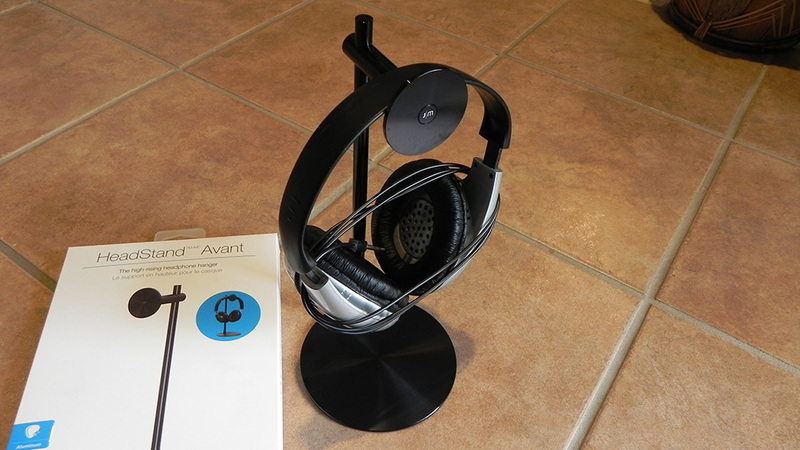 While I feel as though the price is a bit high – especially considering generic options are available at a fraction of the cost – the HeadStand Avant is certainly made well and will look good in most people’s scenarios. If you don’t mind the $39.95 price tag, you’ll no doubt be satisfied.